The California Stem Cell Report expects to be offline for perhaps the next five to seven days. Here is the overview of the California stem cell agency, published May 23, 2017, on Capitol Weekly and written by yours truly. 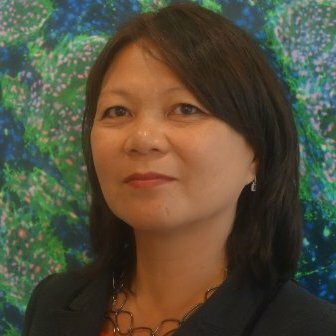 The California stem cell agency this week awarded a total of $1.4 million to six scientists to jump start their work in what it calls its "great ideas" program. The agency said in a press release that the "Inception" program "provides seed funding for great ideas that have the potential to impact human stem cell research, but need some initial support. It’s hoped this will enable the researchers to test their ideas, and give them the data they need to compete for more substantial funding." The funding is small indeed. The California Institute for Regenerative Medicine(CIRM), as the agency is formally known, finances some clinical trials at $20 million a crack. The largest award in the "great ideas" program was $265,500. The blood supply award was a reminder of another program that the agency used to entice star researchers to California. The blood grant went to Tannishtha Reya of UC San Diego. She came to California with her spouse, Robert Wechsler-Reya. He was lured by CIRM in 2010 with $5 million in funding to work at the Sanford-Burnham Medical Research Institute in La Jolla.. He has not received any further funding from the agency. This is the first CIRM award for Reya. Another round of the Inception program is scheduled to open up in January 2018. Here is a link to the most recent request for applications. Here is a list of the winners with their application numbers. The summaries of reviewer comments on each application and their scores can be found here. All of the institutions have ties to CIRM board members, who are not permitted to vote on applications involving their institutions. However, they can vote on creation of the research grant programs, establishment of their scope and rules. The Capitol Weekly online news and information service this afternoon posted a major overview of the $3 billion California stem cell agency. The piece covered the agency's origins, recent high water marks and discussed its future. Here is the beginning of the freelance article by yours truly. "C. Randal Mills, the 45-year-old CEO of California’s $3 billion stem cell research program, is a man who loves his milestones. "A private pilot, he charts his course in the air from one specific point to the next. Three years ago, Mills brought that same sort of navigation to the state stem cell agency. Miss one of the agency’s milestones, and — if you’re a stem cell scientist — you may not crash and burn, but you could lose millions of dollars in research funding from the state. "Mills has left an indelible stamp on the agency with his emphasis on concrete, measurable results. But he is resigning from the research program at the end of June in the midst of what some say is its “last stage.” His surprise departure to head the world’s largest bone marrow donor organization shocked many in California’s stem cell community. And it added to the unease about its future along with the future of possible stem cell therapies." Look for a major overview of the $3 billion California stem cell agency later today on Capitol Weekly, a well-respected online news and information service that focuses on state government and politics. The piece was written by yours truly on a freelance basis for Capitol Weekly and includes the latest developments at the agency, including what departing president Randy Mills leaves behind. Given the vagaries of the Internet and news, publication of the article cannot be totally guaranteed this afternoon. So if it doesn't pop up today, try again later this week. Looking for a great job with a $3 billion operation headquartered in downtown Oakland? You will be able to share in the progress of one of the hottest biomedical fields in the country and perhaps help save some lives. The job is executive assistant to the president of the California stem cell agency. The current president, Randy Mills, is leaving at the end of June. Maria Millan, now vice president for therapeutics, is taking over as the interim CEO. She is line to succeed Mills, but there is no guarantee on that. The job is no walk-in-the-park. The agency is small -- only 46 employees -- despite its reach. Long hours could be the order of the day. The job posting on the agency's web site says the position requires an "all-in" commitment to the goals of the agency. Salary can range up to $10,433 a month. California's $3 billion stem cell research effort chalked up a small score yesterday with the announcement that a $5.2 million investment is making progress towards development of a therapy to regenerate broken bones. "Scientists from Cedars-Sinai Medical Center have developed a new stem cell-based technology in animals that mends broken bones that can’t regenerate on their own. Their research was published today in the journal Science Translational Medicine and was funded in part by a CIRM Early Translational Award." The award went to Dan Gazit and Hyun Bae at Cedars. Their year one and two progress reports involving the adult stem cell therapy can be found at the link in the above paragraph. Ring's blog item also carried a nifty graphic on the work and a link to a video on the research. "Over two million bone grafts are conducted every year to treat bone fractures caused by accidents, trauma, cancer and disease. In cases where the fractures are small, bone can repair itself and heal the injury. In other cases, the fractures are too wide and grafts are required to replace the missing bone. "It sounds simple, but the bone grafting procedure is far from it and can cause serious problems including graft failure and infection. People that opt to use their own bone (usually from their pelvis) to repair a bone injury can experience intense pain, prolonged recovery time and are at risk for nerve injury and bone instability." It is a sad day for the stem cell "other." Only 11 percent of the readers of one stem cell blog say they fit that category. That was a big drop from the early returns that showed the "other" with 21 percent. 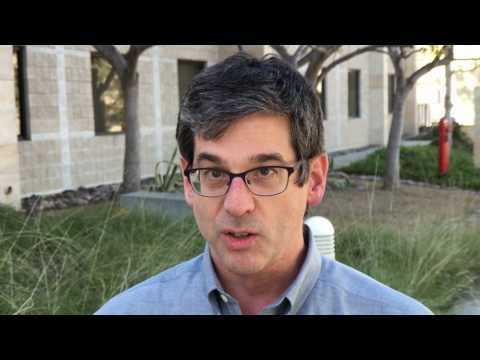 All of this is the product of The Niche, the blog of UC Davis stem cell researcher Paul Knoepfler. He mounted a poll last week for readers to determine both their interests and general identity. Initially "other" sprang into the lead. But as more readers responded, the reader category of academic scientists moved to the top with 32 percent. Industry scientists followed with 19 percent and patient or patient advocates with 17 percent. What were they interested in? Investigations, 25 percent, newsy items, 20 percent, and journal club-like paper reviews, 18 percent. Less than four percent of readers identified themselves as interested laypersons. Capricor Therapeutics, Inc., today announced some bad news about its state-of-California financed clinical trial for a cardiac, stem cell therapy and said that it planned to lay off an unspecified number of employees. Capricor's stock price plummeted 62 percent following what the company called the "unexpected" news, dropping from $1.89 to $1.16. California's stem cell agency has backed the trial with $20 million, plus an additional $7 million for earlier, related research. "Obviously this is disappointing news for everyone involved, but we know that not all clinical trials are going to be successful. CIRM supported this research because it clearly addressed an unmet medical need and because an earlier Phase 1 study had showed promise in helping prevent decline in heart function after a heart attack." In response to a question, Kevin McCormack, senior director of communications, said the agency is talking to Capricor about the next steps. The agency regularly halts funding of awards when recipients do not meet milestones. McCormack did not respond to a question about how much money the firm had already received from CIRM. Capricor, which is headquartered in Beverly Hills, said in a press release that an interim analysis on the phase two trial has "has demonstrated a low probability (futility) of achieving a statistically-significant difference in the 12-month primary efficacy endpoint." The company said there was "no notable difference" between treatment groups. The company said it would cut its workforce to focus more sharply on its treatment of Duchenne muscular dystrophy, which the stem cell agency is also backing with $3.4 million. The Duchenne treatment had better news the last month, clearing its phase one trial with no adverse effects. Timothy Henry and Rajenda Makkar of the Cedars-Sinai Heart Institute in Los Angeles are the principal investigators for the clinical trial. The highest price for Capricor stock over the last 12 months was $5.40 and the lowest was $1.13. Ever wonder who reads stem cell blogs? The "other" are the predominant readers of the one produced by a UC Davis stem cell researcher. At least that is the latest result from a survey that Paul Knoepfler is conducting about his cyberspace effort. Knoepfler posted the survey request today. The results are still coming as you read this item. The initial tally this afternoon showed that 21 percent of respondents placed themselves in the "other" category when asked about their background. Next were academic and industry scientists, both with 18 percent, and physicians, 15 percent. Most liked posts? Investigations, 33 percent; opinion pieces, 21 percent; newsy items, 17 percent. From a "mouse house" to growth cocktails, a web site called Undark has it all in a piece headlined "A Month in the Life of a Stem Cell Lab." The photo essay was prepared by Chloé Hecketsweiler, a Paris-based journalist with Le Monde. She recorded events and people during six weeks this year in the laboratory of Douglas Melton at the Harvard Stem cell Institute. Melton is digging into diabetes. A firm he co-founded, Semma Therapeutics, is the recipient of a $5 million award from the California stem cell agency, formally known as the California Institute for Regenerative Medicine. "I watched their experiments, learned about the complex science of stem cells, and talked with the researchers about their work and hopes. I was allowed to take pictures, and for this photo essay I tried to pick out moments and details that I found revealing, although scientists may see them as business as usual." "You have to keep the cells happy before you keep yourself happy." It echoed an axiom from America's old family farming days when livestock was fed and cared for as the sun rose, long before before the family sat down for breakfast. "We spend so much time on our projects, they are like our babies." The sky is not falling, says a Scripps Research Institute scientist, despite headlines that seem to link "mutation" and "cancer" and "stem cells." "'Mutation' and 'cancer' are eye-catching words for a headline; add 'stem cells' and there is a good chance that a lot of people will hear about it. These words have been liberally used in the press to describe the results of a recent publication: 'Human pluripotent stem cells recurrently acquire and expand dominant negative P53 mutations.'" "Every time a scientific report suggests that human stem cells are dangerous, I feel the need to reassure both scientists and non-scientists that we should not panic. The sky is NOT falling (contrary to Henny Penny), and pluripotent stem cells remain valuable for cell replacement therapies." Loring went into the rather technical reasons for her position as well as identifying issues having to do with not knowing enough about the cells used in research. She also provided some tools for researchers to use to identify cells with "functionally important mutations." "Don't panic! Check your cells instead." The New York Times took a look yesterday at California's $3 billion search for a stem cell therapy in a piece that almost incidentally reported the departure of its president, Randy Mills. The article was more of a blog item than the heavily and independently reported news story that is often characteristic of the Times. However, it marked one of the few occasions that the newspaper has attempted an overview of the California Institute for Regenerative Medicine (CIRM), as the stem cell agency is formally known. "More than a decade ago, Californians made a $3 billion wager on the healing potential of stem cell research. "Today, with that money projected to start running out in the next few years, what does the state have to show for it?" "Still, the agency has yet to finance a therapy approved for commercial use." McPhate concluded by saying that Robert Klein is eyeing another bond measure to continue the work at CIRM, which says it will run out of cash for new awards in about three years. "It would appear on the 2018 ballot. The ask this time? $5 billion." The San Diego Union-Tribune, which covers the large biotech community in its area, today carried a hefty piece on the departure of Randy Mills as CEO of the $3 billion California stem cell agency. 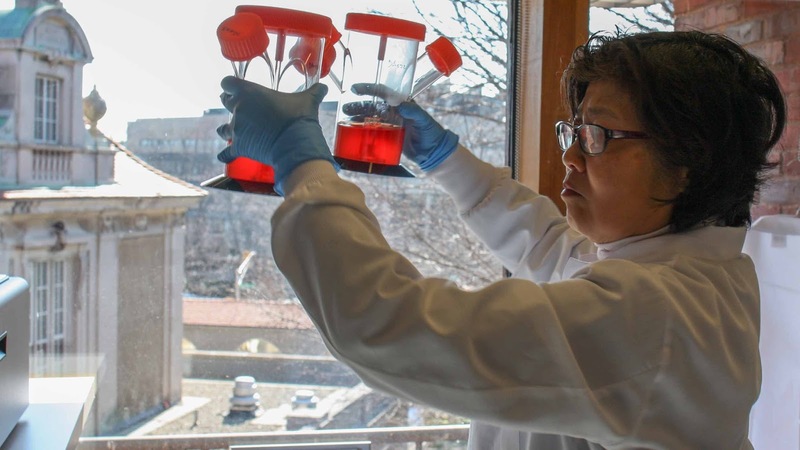 "Amid uncertain future, state's stem cell agency loses transformational leader "
"'If me leaving CIRM is a problem, then I didn’t do a good job at CIRM,' Mills said. 'Whether it’s because I’m going to be the head of the National Marrow Donor Program or I get hit by a car, the success of this organization, or any organization that’s healthy and functional, should never pivot on one person,' Mills said. 'I’ve assembled a team at CIRM that I have absolute, absolute confidence in.'" "Jeanne Loring, a CIRM-funded stem cell scientist at The Scripps Research Institute, said Mills made the agency friendlier and more predictable for the scientists it funds. "'The first and most dramatic thing he did was to end the process of independent grants,' Loring said. Under that process, each grant proposal was considered on its own, with no consideration for success under a previous grant for an earlier stage of the research. "'It was always very troubling to people, I think, that they could do very well with CIRM money on an early-stage grant, and that would earn them nothing in a further application to continue the work,' Loring said." Disappointment, shock and surprise are surfacing in the wake of the news that Randy Mills is leaving his post as CEO of the California stem cell agency. However, the news drew little attention in the media. Mills, 45, yesterday announced that he will depart at the end of June to become head of the National Bone Marrow Donor Program in Minneapolis. Maria Millan, vice president for therapeutics, will take over on an interim basis while the agency's board decides on a permanent successor. The agency is entering what will be the last three years of its life unless it can round up additional funding. It has relied almost entirely on money borrowed by the state (bonds) which is expected to run out by June 2020. Mills' unexpected move triggered expressions of dismay and amazement. "Wow!" was the one-word, email remark from a Southern California scientist, who declined to be identified. "I don’t understand why Randy Mills would leave CIRM now, when the rebirth of CIRM that he initiated is beginning to succeed. I would have expected him to follow through on his vision. I’m disappointed." "Overall CIRM has prospered under Mills’ leadership with important, concrete accomplishments during his tenure. The agency's current trajectory is also very positive. He deserves a lot of credit for the positive impact he has brought to CIRM in just three years. The timing of his departure probably isn’t ideal as CIRM looks to the future with some challenges such as the nature of future funding for the agency and three years is a short tenure, but just as Mills brought in a new, helpful vision, the next leader may likewise provide new ideas and energy to successfully tackle the next phase for CIRM. Who that new leader ends up being could make all the difference for CIRM’s future so it’s a crucial decision. I’ll be curious how the Board approaches this challenge, and I’m excited to see what develops." Knoepfler also posted more of his thoughts in an item on his blog. "Dr. Mills made substantial contributions to the agency during his tenure, improving both efficiency of the grant making process and transparency of CIRM's operations. Given the uncertain future as CIRM's current funding winds down, it is not at all surprising that he has opted to move onto another opportunity. "Significantly, unlike the departure of his predecessor Dr. Alan Trounson, this move does not appear to raise any conflicts of interest." Another scientist who could not be identified said Mills' departure could lead to the loss of others of the 46 agency employees. On the media side, Ron Leuty of the San Francisco Business Times wrote a straightforward piece on Mills' departure. Alex Lash of Xconomy offered a lengthier take. He covered some of the history of the agency along with the status of some its current projects. The Sacramento Bee carried a freelance piece by yours truly as well. In a surprise move, the president of California's $3 billion stem cell research effort this morning announced his resignation as the program enters what some are calling its "final test." C. Randal Mills said that he has taken a position as president of the National Marrow Donor Program in Minneapolis, Minn. He said he will leave the California Institute for Regenerative Medicine (CIRM), as the stem cell agency is formally known, at the end of June. Maria Millan, vice president of therapeutics, will become interim president of the 12-year-old agency in July. The governing board of the agency plans a meeting of its search committee in July to consider its options regarding the appointment of a permanent president for CIRM, which expects to run out of cash for new awards in three years. Just last week, the prestigious journal Nature described the Oakland-based agency as entering its "final test" and "last stage." Mills, 45, joined the agency almost exactly three years ago and promptly launched a more focused effort than previously existed to fulfill the promises and expectations created by the 2004 ballot initiative campaign that created the agency. “CIRM has experienced a remarkable transformation since Randy’s arrival. He has taken the agency to a new level by developing and implementing a bold strategic plan, the results of which include an 82 percent reduction in approval time, a 3-fold increase in the number of clinical trials, and a 65 percent reduction in the time it takes to enroll those trials. "CIRM’s mission is to accelerate stem cell treatments to patients with unmet medical needs, and under Randy’s leadership, CIRM has done just that. The opportunity for Randy to lead a tremendously important organization such as NMDP is consistent with the values he demonstrated at CIRM, which put the well-being of patients above all else." In an interview with the California Stem Cell Report, Mills said the offer to lead the donoro program "came out of the blue." He said the opportunity to join the world's largest bone marrow effort was unique. The organization, he said "does not do anything that doesn't save lives." "What this team has been able to accomplish in that time is remarkable by any objective measure and I thank them for their 'All In' attitude and effort. As a trailblazing institute, CIRM is setting new highs in productivity and efficiency and will continue to deliver on its mission under the leadership of Dr. Millan." Millan, a physician, has been with the agency since 2012, joining it from StemCells, Inc., where she was acting medical officer and vice president. Prior to that, she was an associate professor of transplant surgery for eight years at Stanford University. Millan was paid $281,000 last year, according to The Sacramento Bee's state worker database. Mills was paid $573,000. Mills' departure comes as supporters of the agency are concerned about whether its work will effectively end in 2020. However, its first chairman, Bob Klein, is talking about asking California voters for another $5 billion. 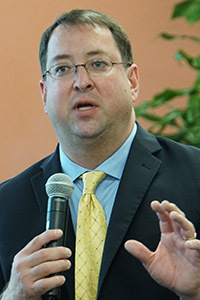 Klein also led the $34 million ballot campaign. Klein's organization, Americans for Cures, is planning to conduct a poll this fall to determine the level of public support for CIRM. He has said that if support is in the 70 percent range he would mount a bond issue in 2018. Otherwise, he might try in 2020, a presidential election year, with a larger voter turnout. The organization that Mills is joining is "the world's largest the world's largest registry of unrelated adult donors and umbilical cord blood (UCB) units," according to Nature. It has been heavily funded by the federal government with an annual budget of $383 million, according to 2014 figures, and has about 1,000 employees. CIRM currently has 46 employees and has ranged up into the middle 50s. Accompanying Mills in the move to Minneapolis will be his wife, Anna, and two children, Elise, 13, and Chase, 10.